Before each event, one player from each group on the course is entrusted with one of our Apple iPhones. The operating software on these devices has been specially modified. Everything has been removed with the exception of the Golf GameBook App. Touch any button or even shake the device and the Golf GameBook App will open, ready for use. It’s used in exactly the same way as a scorecard. 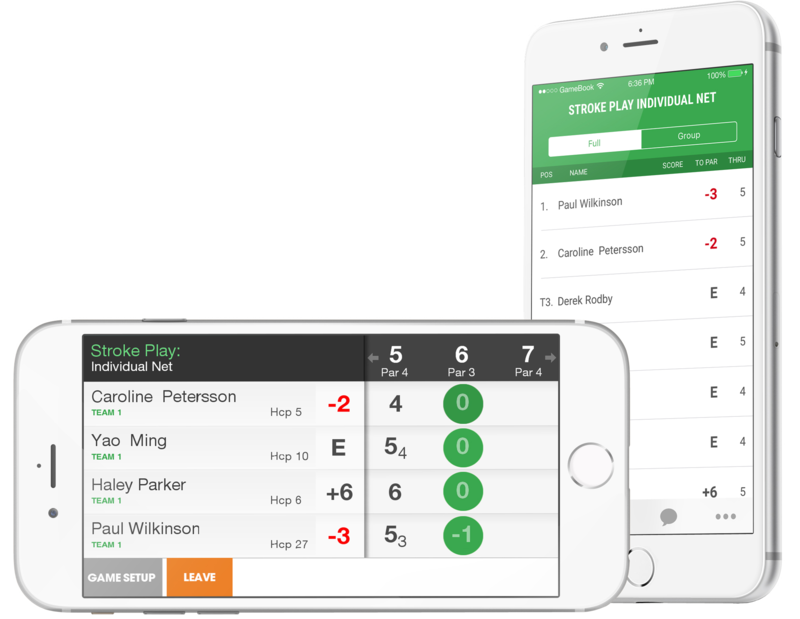 As gross scores are entered after each hole by tapping the screen, the leaderboard instantly updates not only the scores on the users device, but also on all other devices on the course, in the clubhouse and on the Internet. To see the live leaderboard simply turn the device from ‘landscape’ to ‘portrait’.